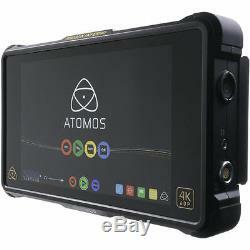 The Atomos Shogun Inferno is a 7, 1920 x 1200 on-camera recording monitor that combines 4K recording with a 10-bit FRC panel that supports native display of HDR (log) footage as well as high brightness viewing of Rec. It utilizes 4K HDMI and 12G-SDI inputs to support clean output signals at resolutions up to UHD 4K (3840 x 2160) at 60 fps, recording it to 2.5 SSDs using 10-bit, 4:2:2 Apple ProRes and Avid DNxHR codecs. The Inferno, unlike the similar Shogun Flame, supports Quad 3G-SDI input. It even supports DCI 4K (4096 x 2160) raw video streams over SDI from select Sony and Canon cameras, encoding it as ProRes/DNxHR files. The monitor features 10-bit FRC processing and AtomHDR display technology support a 10-stop brightness range, allowing you to more accurately monitor your log gamma footage without having to view flat, washed-out looking images or use a LUT to compress the dynamic range and color space. The monitor offers built-in pre-sets to accurately translate popular log formats from Sony, Canon, Panasonic, ARRI, RED, and JVC cameras. The settings only affect viewing, with recorded video remained unaltered. In addition to HDR monitoring, the monitor also offers a High Bright mode for traditional Rec. This mode takes advantage of the full 1500 cd/m² brightness to allow for more confident monitoring in bright outdoor environments, even without a sun hood. In HDR mode, use of an optional snap-on sun hood is required, as displaying a wider brightness range reduces the overall brightness of the monitor. Built to withstand the rigors of production, the Shogun Inferno features built-in protective armor that features silicone-covered corners and chamfered edges. Compared to the original Shogun, the Inferno now features dual Sony L-Series battery plates that support battery hot-swapping, enabling longer run times. For audio recording, the monitor supports balanced XLR inputs with +48V phantom power via an included audio breakout cable. Additional features included genlock/LTC input, SDI/HDMI cross-conversion, and a variety of onscreen exposure analysis, framing, and focus assist tools. AtomHDR technology displays 10 stops of dynamic range to natively display HDR (log) footage. Presets for viewing log gamma curves from Sony, Canon, Panasonic, ARRI, RED, and JVC cameras. High Bright mode for Rec. Anamorphic De-Squeeze: 2x, 1.5x, 1.33x, Panasonic 8:3. 4K UHD downscale for HD monitoring. 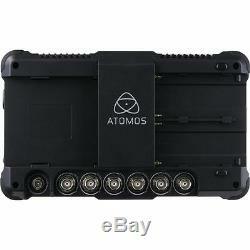 4K HDMI and 12G-SDI inputs/outputs. 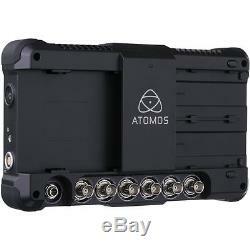 4x 3G-SDI inputs (or single 12G-SDI). Audio breakout cable for XLR audio input. 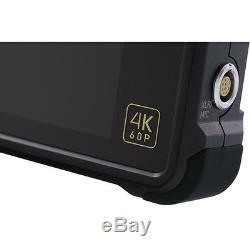 UHD 4K recording at 24/25/30/50/60 fps in ProRes or DNxHR. 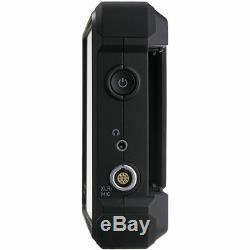 1080p recording up to 240 fps. 10-bit 4:2:2 ProRes and DNxHR recording to SSD/HDD media. 4K raw to ProRes/DNxHR recording over SDI from Sony FS700, Sony FS7, Canon C300 Mark II, and Canon C500. Pre-roll record (HD 8 seconds, 4K 2 seconds). 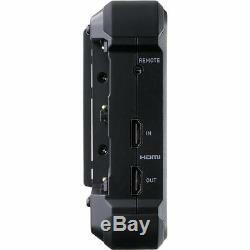 Dual Sony L-Series battery slots support hot-swappable for continuous power. Built-in armor with silicone-covered corners. Audio level meters and mic level adjustment. 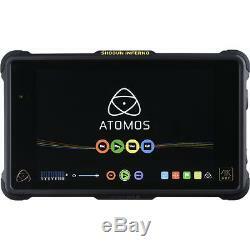 The Atomos Accessory Kit includes everything you'll need for a complete workflow with your Shogun/Ninja Inferno and Flame monitors/recorders. 2.5mm female to dual 2.5mm male control cable. 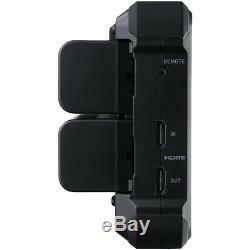 USB 3.0 docking station. Coiled DC barrel to D-Tap cable. Four Master Caddy II drive caddies. 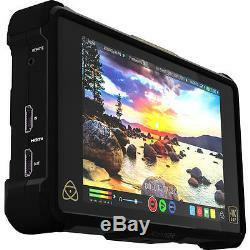 The item "Atomos Shogun Inferno 7 4K with Shogun Inferno with Accessory Kit" is in sale since Monday, October 24, 2016. 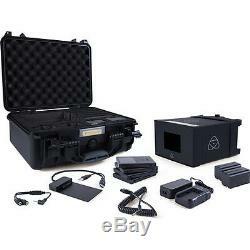 This item is in the category "Cameras & Photo\Video Production & Editing\Video Recorders & Players". The seller is "dvestore" and is located in Mukilteo, Washington. This item can be shipped worldwide.